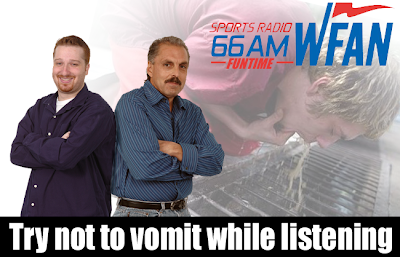 WOR radio's Mark Simone knows just how bad Joe Benigno and Evan Roberts are. In the wake of Mike Francesa's announced retirement, Simone said, "WFAN has no rising stars over there." Nope. No one groomed to take that next step. Prescient photoshopper Matthew Funtime has warned of such for years.